I know that searching for salads on my blog might be frustrating! 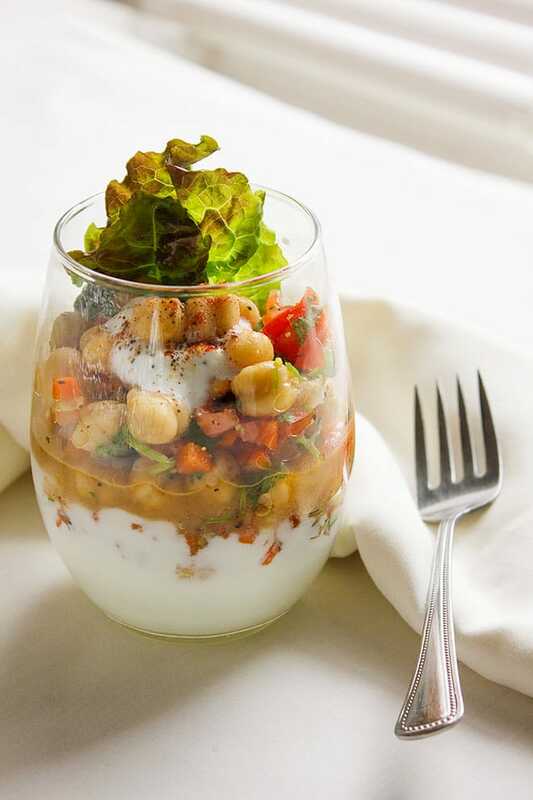 I’m really picky when it comes to salads, so I usually mix it with chicken or Pasta, and today I am sharing a favorite of mine, Yogurt Chickpea Salad. I consider it a healthy tasty vegetarian snack. 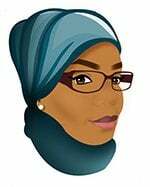 Yogurt Chickpea Salad is my secret weapon to keep hunger at bay when I used to go to work, and now that my home is my office I still have it to keep me full and satisfied without feeling guilty. I’ve seasoned this salad using, black pepper, red chili powder, cumin, and salt. To make it healthier for my heart, Olive oil was for sure included. I suggest that you make the salad as is then change the spices per your taste. You can have this salad at room temperature, but when it’s Summer it so refreshing cold. In a bowl, mix all the ingredients except the yogurt. Add the yogurt to a bowl, now gently spoon the salad on top of the yogurt. You can serve the salad in glasses too. Mmm, this looks so tasty. I don’t think I’ve ever tried anything like this, but I’m sure I’d love it. 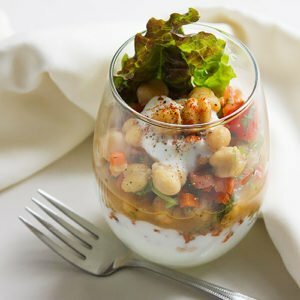 Yogurt Chickpea Salad? I am not a fan of many yougurts, however this looks delightful! You can have it without the yogurt, it will still taste great! I’ve never heard of yogurt chckpea salad. It sounds amazing I might have to try this! 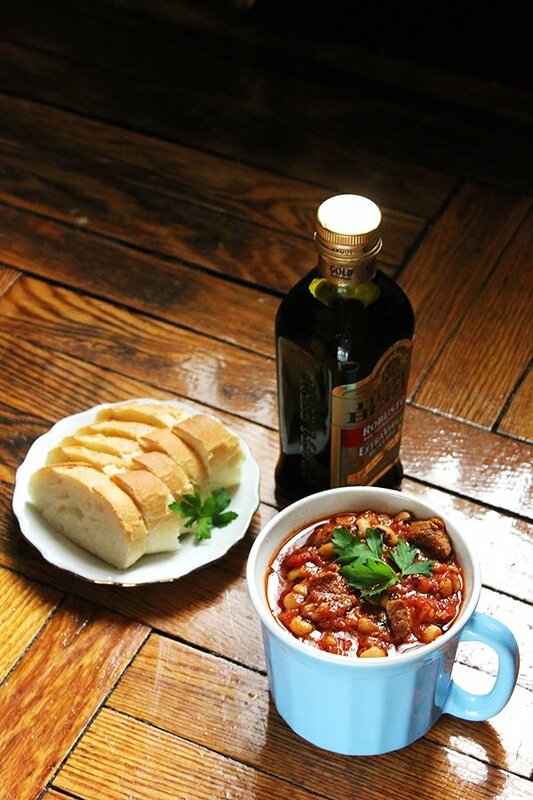 It’s very light yet filling, hope you give it a try. 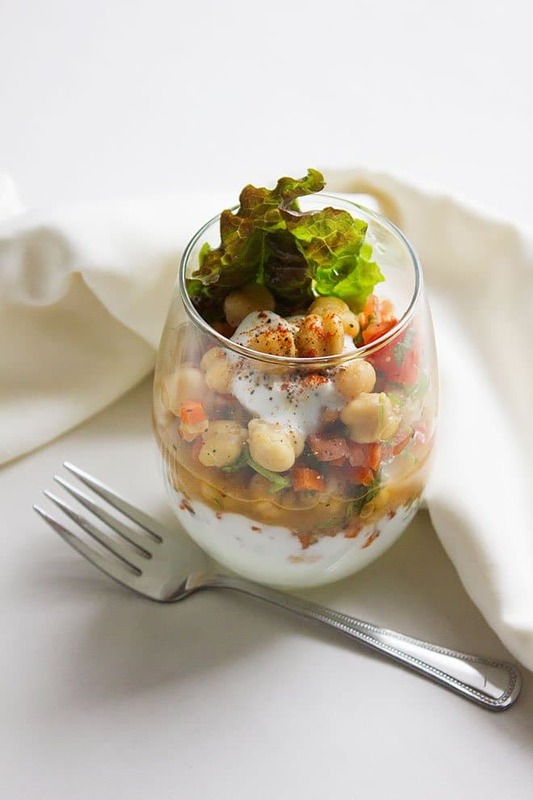 I’ve never been a fan of chickpeas actually, but this is such a pretty dish, it kind of makes me think I need to give chickpeas another try. 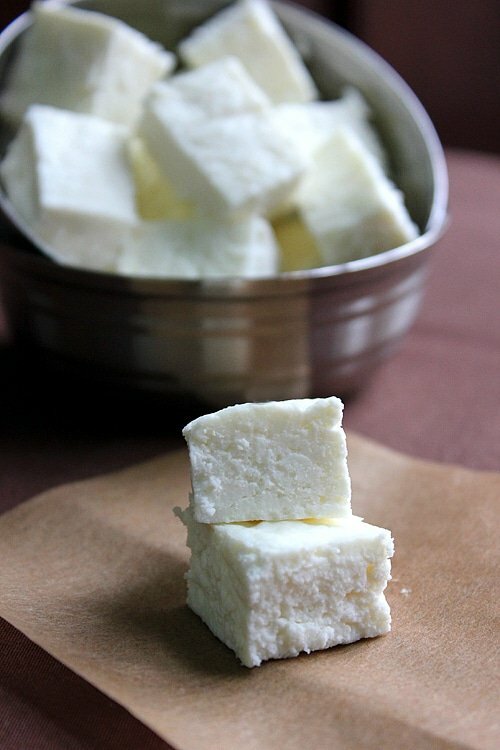 I wonder if the recipe would be as good with Greek yogurt instead – I prefer it. This recipe is really an interesting idea! Seems so delicious and also beautiful to see! That looks really good. I really am a fan of chickpeas. I will have to try this out. This Chickpea Salad looks so delicious and easy to make. I will have to get the ingredients I need to make some on the weekend. I am sure it will be a big hit. I can imagine that this would be interesting. I do love chickpeas although I am not sure I would like them in this manner. I’m not too into plain yogurts either. Although if you blended that with the chickpeas a nice hummus would be good. 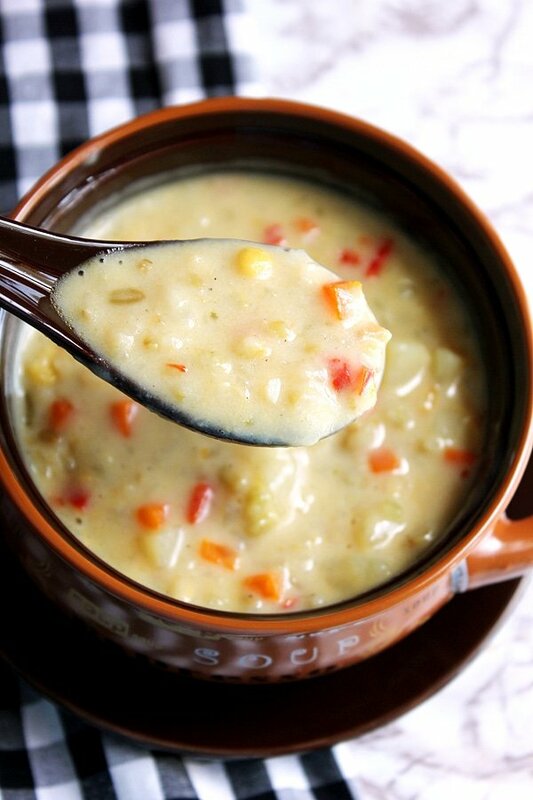 This looks seriously tasty and relatively low calorie, which makes it an instant winner! I’m saving this one! I love chickpeas and this is another way not to make it so boring to eat (well, for my husband). We will definitely try this recipe. Thanks for sharing! I would of never thought to pair these together, but my oh my, this looks fantastic! This is really beautiful. I love chickpeas and they’re perfect for recipes like this. I wouldn’t mind having this often during the summer. This salad is definitely something that I would enjoy. I love that you can have it cold and that the spices are adjustable as well. Ooh I have some left over chickpeas so a chickpea salad would be a delicious side dish with my food right now! Sounds amazing. I love a great salad. I love salad as it can go good by itself or to accompany my meal. Interesting recipe. I have to try this out. The picture looks so inviting and definitely going to try this. Have downloaded your chicken Recipe Ebook. Thank you. This looks amazing and yummy! I’m going to try making this. 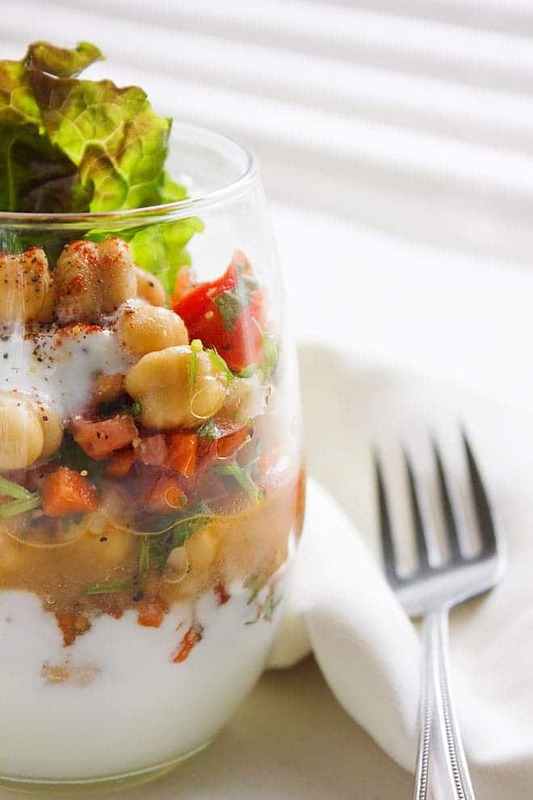 Chickpea is my favorite and combine it with yogurt that’s paradise. It is a very delicious way to eat salad! Oh my gosh! This Yogurt Chickpea Salad looks mouthwateringly delicious! Wow I love salad.. and this one looks so delicious! It was a great compliment to our dinner hope you give it a try!